Days after Idea launched its 4G LTE service in India, the company has now started rolling out the service in Madhya Pradesh, Chhattisgarh, Haryana and Punjab. 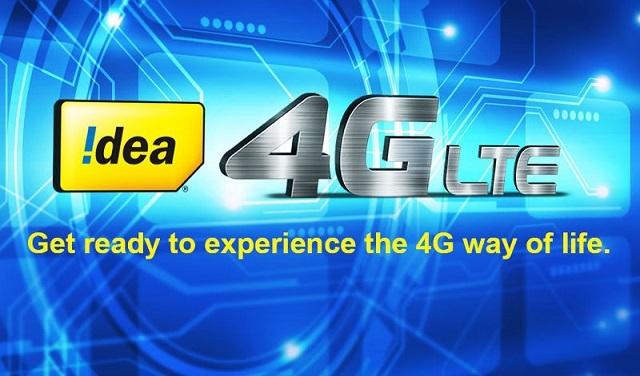 Idea Cellular announced the launch of its 4G LTE services in Madhya Pradesh, Chhattisgarh, Haryana and Punjab circles. The services will be first rolled out in major cities which include Indore, Bhopal and Raipur, while Gwalior and Jabalpur will follow by 31st January 2016. The company also plans on extending the service to 183 towns by the end of this month. Idea plans on extending the services cover 84 towns including Ambikapur, Anuppur, Bhilai, Bilaspur, Chhatarpur, Katni, Kawardha, Korba, Mandsaur, Neemuch, Rajnandgaon, Ratlam, Sagar, Satna, Sehore, Shahdol, Shivpuri, Ujjain and Vidisha by March 2016. The company is offering data starting at Rs. 245 for 1 GB up to Rs. 1845 for 15 GB with 28 days validity.